Cheval Construction is general contractor for new construction, build-outs and renovations of commercial buildings including hotels, stores, offices, restaurants, industrial space and more. Cheval Construction had been steadily increasing the size of construction projects it took on. The company was being asked to bid on larger, more expensive developments. To compete more effectively, it needed a website that described its capabilities and also gave examples of some of the projects it had completed for Fortune 500 companies including Marriott, Starbucks, Penske and Hilton. 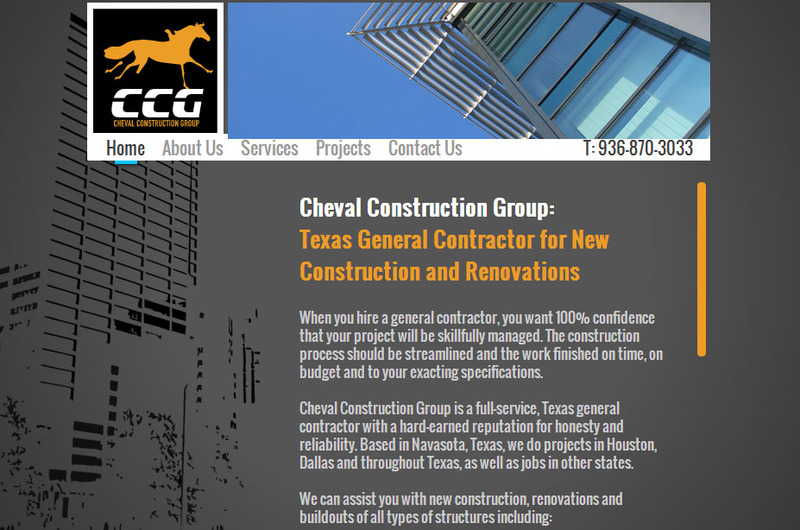 Susan Greene, freelance copywriter, developed content for Cheval Construction Group’s newly designed website. She paid special attention to the site’s About Us page. The owners of Cheval wanted to be sure the copy told of their extensive history in the construction field and explained how they were different than the typical construction firm in terms of their expertise, hands-on customer care and reliability. They also wanted it known that the company was both EPA lead certified and LEED certified, which qualified it for work on specific types of projects. Cheval Construction Group was extremely pleased with the copy and its new website, which has helped it to compete for bigger projects. Just a few months after the website was complete, one of the owners even called Susan Greene to have her do the copywriting for another website for a second business they owned. Could a new website for your company bring in more customers?